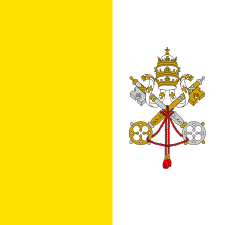 The son of a Roman of German ancestry named Hildebrand, Benedict VI was born in Rome in the region called Sub Capitolio (in what was the old 8th region of Augustan Rome, the Forum Romanum). Prior to his election as pope, he was the Cardinal deacon of the church of Saint Theodore. Record of Benedict’s reign as pope is scant. There is a letter dated to Benedict’s reign from Piligrim, Bishop of Passau, asking for Benedict to confer on him the Pallium, and make him a Bishop so that he could continue his mission to convert the Hungarian people to Christianity. However, the response from Benedict is considered to be a forgery. He is also known to have confirmed privileges assumed by certain monasteries and churches. At the request of King Lothair of France and his wife, Benedict placed the monastery of Blandin under papal protection. There is also a papal bull from Benedict in which Frederick, Archbishop of Salzburg and his successors are named Papal vicars in the former Roman provinces of Upper and Lower Pannonia and Noricum; however, the authenticity of this bull is disputed. Otto I died soon after Benedict's election in 973, and with the accession of Otto II, troubles with the nobility emerged in Germany. With the new emperor so distracted, a faction of the Roman nobility opposed to the interference of the German emperors in Roman affairs, took advantage of the opportunity to move against Benedict VI. 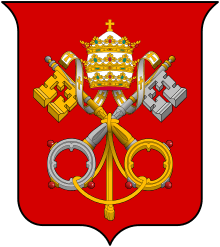 Led by Crescentius the Elder and the Cardinal-Deacon Franco Ferrucci (who had been the preferred candidate of the anti-German faction), Benedict was taken in June 974, and imprisoned in the Castel Sant'Angelo, at that time a stronghold of the Crescentii. Ferrucci was then proclaimed as the new pope, taking the name Boniface VII. Hearing of the overthrow of Benedict VI, Otto II sent an imperial representative, Count Sicco, to demand his release. Unwilling to step down, Boniface ordered a priest named Stephen to murder Benedict whilst he was in prison, strangling him to death. This article incorporates text from a publication now in the public domain: Herbermann, Charles, ed. (1913). "Pope Benedict VI". Catholic Encyclopedia. New York: Robert Appleton. 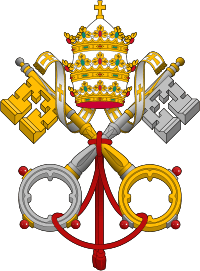 Wikisource has the text of the 1913 Catholic Encyclopedia article Pope Benedict VI.